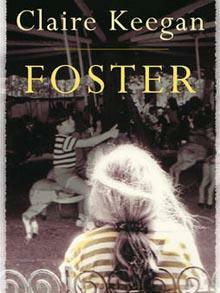 After devouring this in one sitting I reckon Claire Keegan’s Foster might be worth a little review. I’ll keep it short and sweet, exactly like the novelette itself. Winner of the Davy Byrnes Award in 2009 this little-novelette-that-could is an astounding work of meticulously constructed prose and perspective, namely that of a preadolescent girl, that never says more than is necessary. The overwhelming achievement of this work is its ability to allow the reader slip behind the shoulder of a young girl who gets uprooted and torn from the familiar and placed in the different and unfamiliar. While events unfold from the young girl’s perspective the narrative is constructed in such a way that the reader nods knowingly at the true reality of the situation which is usually beyond the grasp of the naive, young girleen at the centre of the tale. It is a remarkable story capturing much of the essence of the parochial, while still retaining a gilded edge that dissects efficiently (once again, no superfluous narrative here) the state of human relationships regardless of locality. For someone like myself who grew up rurally there are many instances of descriptive narrative that ignite old memories of cattle-grids, pale buckets and religious observance. It’s a good story. It’s concise. It’s well-written. It’s Ireland as we all know and remember it. And it’ll take you about two hours to read, and you’ll probably be the better for it afterward.